Colostrum comprises of many health properties that can benefit the entire family...Kids included! 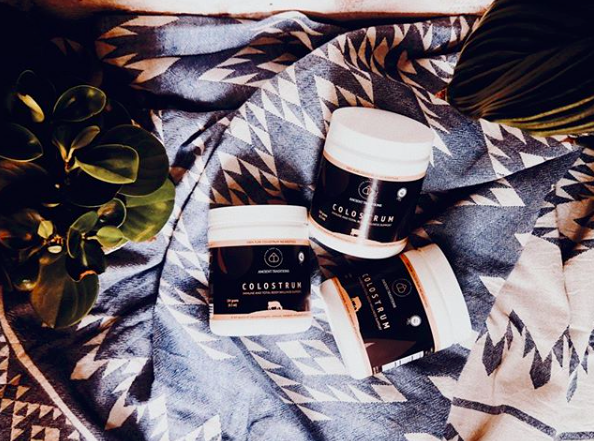 I got to know about colostrum during my relentless search for natural remedies to address some health issues that my husband and I suffered from. The plethora of (science backed) health benefits, as well as positive feedback received from people I knew who had tried and tested this immune supporting ingredient, convinced me to put fingers to keyboard and write this post. Colostrum, also known as immune milk, is considered the first food for all mammals. Colostrum in its purest form is produced by cows during the first six hours after giving birth. 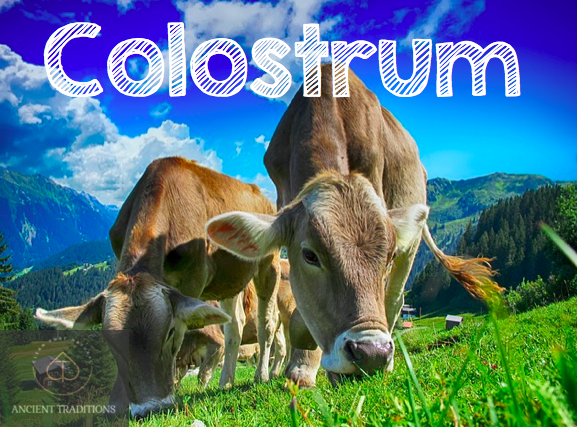 Similarly for us humans, colostrum is produced before human milk and lasts for 3 - 4 days. It contains all the necessary immunity and growth factors that are essential to support a newborn's health and development. Consumed by ancient cultures throughout history, bovine colostrum has always been highly regarded for its health properties; in traditional Chinese medicine it was regarded as a health promoting potion, and Indians used it for thousands of years in their Ayurvedic medicine. Even vegetarians who refrain from eating meat due to religious beliefs, have and continue to consume dairy products, including colostrum. In fact, traditional Indian cuisine, which features mainly vegetarian dishes, boasts a number of dessert recipes made with cow colostrum. As a matter of fact, veganism, which rejects eating any dairy product, has no links to the Indian culture. The word 'vegan' was coined in 1944 by Donald Watson, a British animal rights advocate. Some cuisines still use cow colostrum to make delicious creamy puddings: the Turks have Aguz; the Swedes love their Kalvdans; while in Southern India Ginnu and Kharvas are as popular as ever. In recent years, hundreds of research papers on bovine colostrum have highlighted its potential for gut healing and disease fighting properties. Its consumption has gained a lot of momentum among natural health enthusiasts. Colostrum is now available (in certain countries) fresh in health stores, powdered or in capsules for convenience. 1. Keeps bacteria and viruses at bay. - Immunoglobulin G (IgG) neutralizes toxins and microbes in the lymph and circulatory systems. - Immunoglobulin M (IgM) helps destroy bacteria. - IgE and IgD are both highly antivirals. Consuming colostrum has been known to transfer these important bacteria and virus busting antibodies to your immune system. Giving further food for thought, a PubMed study published in 2007, demonstrated that supplementing bovine colostrum is three times more effective in preventing flu infection than taking a flu vaccine. 2. Modulates your immune system. Proline-rich polypeptides (PRPs) are short chain amino acids that were originally isolated from colostrum by a group of Polish scientists more than 40 years ago and have since been widely studied for their distinctive immune modulating effects. PRPs help activate the thymus gland which plays an important role in the immune function; through this activation of the thymus gland the body is not only able to fight off viral and bacterial infections but down-regulate inflammation as well. In other words, PRPs can help stimulate an underactive immune system to fight off infections and simultaneously, calm down an overactive immune system, which may result in autoimmune disease such as fibromyalgia, colitis and rheumatoid arthritis. A 2008 study that was published in PubMed suggested that supplementing cow colostrum can decrease the levels of blood glucose, cholesterol and triglycerides among Type2 diabetic patients. 4. Helps heal gut permeability. 'All disease begins in the gut', says Hippocrates, the ancient Greek Father of Medicine. And I for one couldn't agree more! Our lifestyle together with everything we eat directly impacts our health whether we like it or not. It is estimated that we have 100 TRILLION bacteria living inside our bodies and our gut is host to a myriad of beneficial bacteria, viruses and many other organisms. The beneficial bacteria accounts for around 70% of our immune system and its role is to defend our body against disease, keep the number of other organisms in check, as well as help us digest food, absorb nutrients and even produce vitamins. The gut has an internal lining that is only one cell thick. These lining cells are called epithelial cells. The epithelial cells are sealed together by tight junctions that can allow the passage of the nutrients that we absorb from digested food into our blood-stream. However, problems begin when these tight junctions begin to loosen paving the way for small particles of undigested food as well as toxins to enter the blood-stream. And what causes the loosening of these tight junctions? Poor diet that is full of refined carbohydrates and void of nutrients, chronic stress (whether physical or emotional) and toxic overload from chemical detergents, perfumes, personal care products, among others. Luckily, colostrum can play an important role in healing gut permeability. It is well known that chronic physical stress due to vigorous training makes athletes vulnerable to gut permeability. However, a 2017 study in PubMed revealed that athletes who included colostrum supplementation in their diets were able to reverse the negative effects of their gut permeability back to normal. 5. Supports healthy iron levels. A wide array of pathogens and tumors, such as cancer, feed on our iron reserves to support their growth and reproduction. In normal cases a healthy body should be able to respond to such pathogens and tumors by sending large amounts of lactoferrin to the troubled area where lactoferrin binds to iron and starves tumors and pathogens to death. However, when the immune system is suppressed its ability to do so diminishes rendering us vulnerable to disease. Consuming lactoferrin-rich colostrum not only helps starve pathogens and tumors to death, but also supports healthy iron levels that are needed for the production of hemoglobin. 1. Keeping pathogens at bay. 2. Can help simultaneously stimulate an underactive immune system and calm down an overactive one. 3. Helps Type 2 diabetic patients control their blood glucose, cholesterol and triglycerides levels. 4. Helps heal gut permeability and increases immunity. 5. Supports healthy iron levels through binding to iron and keeping it away from pathogens and tumors.